Chuquicamata is the world’s largest open-pit mine, and CODELCO has slated a US$ 4 billion investment plan for its transformation into an underground mine, representing the largest mining project currently underway in Chile. In this setting, the new contract awarded to Astaldi will lead to the construction of 43 kilometres of tunnels, carrying out an additional 165,000 cubic metres of underground excavations, and executing 4.6 kilometres of vertical excavations. The works will be started next September, and will last 51 months. CODELCO is one of the world’s largest mining companies and with it Astaldi has already carried out two important phases of the Chuquicamata Underground Mining Project (totalling US$ 450 million) and has built and is operating a system to treat the sludge produced by the Andina mine (US$ 55 million investment). 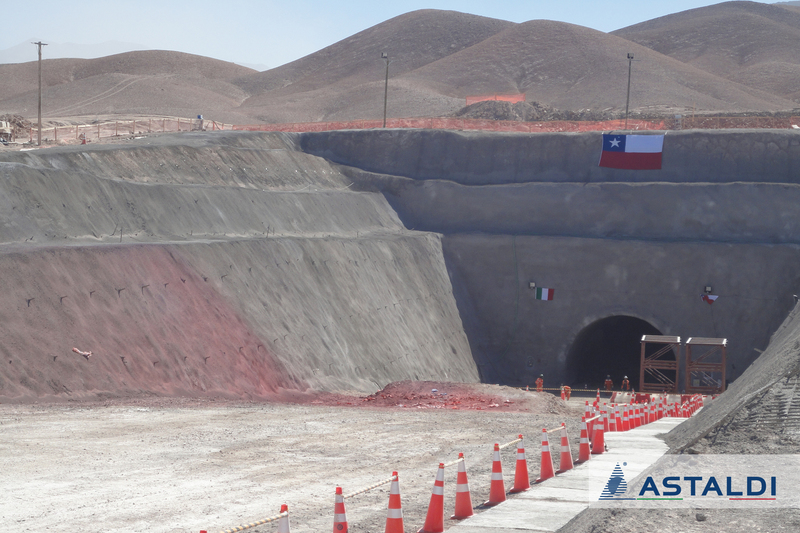 Astaldi has been operating in Chile for about 10 years, in transport infrastructure, energy production plants, and hospital construction. It was recently awarded the E-ELT Project by ESO for the construction of the world’s largest optical telescope; in addition to the projects already mentioned, built and operates the Chacayes hydroelectric power plant (111 MW), operates and is modernizing the Arturo Merino Benítez airport in Santiago (with 15,000,000 passengers/year, Chile’s largest airport), and is building and will operate Santiago’s West Metropolitan Hospital (599 beds).